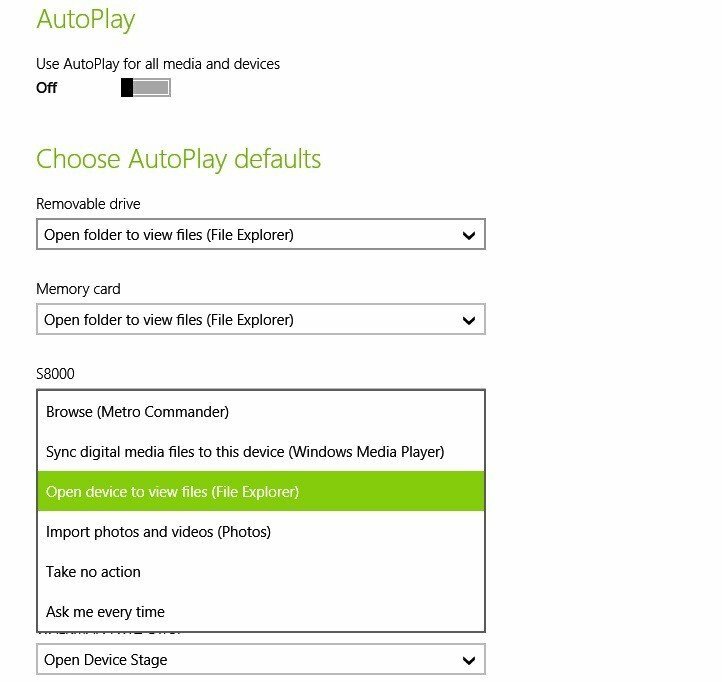 Just like with previous Windows version, Windows 8.1 and Windows 8 also have the Autoplay feature. But if you want to be in control and be able to turn it off or change settings to play DVD, for example, then you need to read the following easy tips on how to access it. 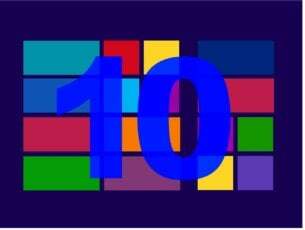 Albeit it has undergone a visual makeover with the launch of Windows 8 and some improvements with the release of Windows 8.1, the AutoPlay feature has basically remained the same, popping out a notification whenever you insert a CD or DVD, or even a USB stick. If you were wondering how to access its settings in order to turn it off or to further tweak it, here’s our step-by-step guide for that. 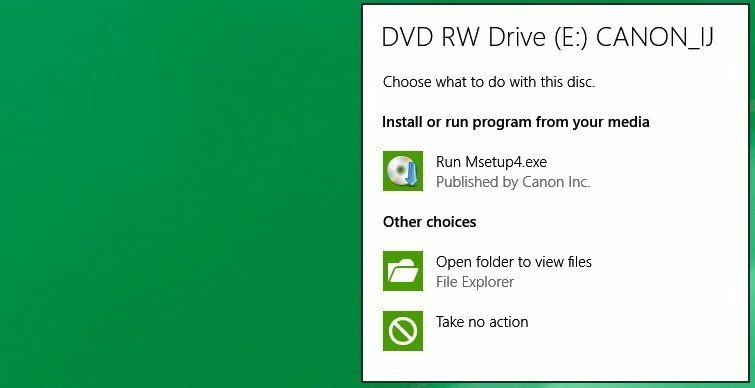 Again, I repeat, this type of guides are for those who’re new to Windows 8 or Windows 8.1 and need some help with tasks that might seem quite simple for those already acquainted with the new version. So, let’s have a look at the steps that you need to take to get to the AutoPlay feature and how to understand its settings once you’re there. 1. Open up the Charms Bar by swiping to the top right corner (by moving your mouse or swiping your finger) or by pressing the Windows logo + W key. Type there ‘PC Settings‘. 2. 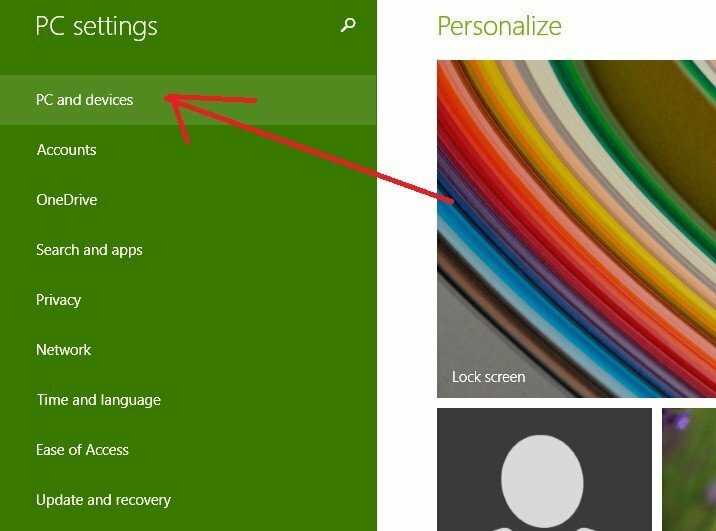 From there, go to ‘PC and Devices‘ sub-menu. 3. 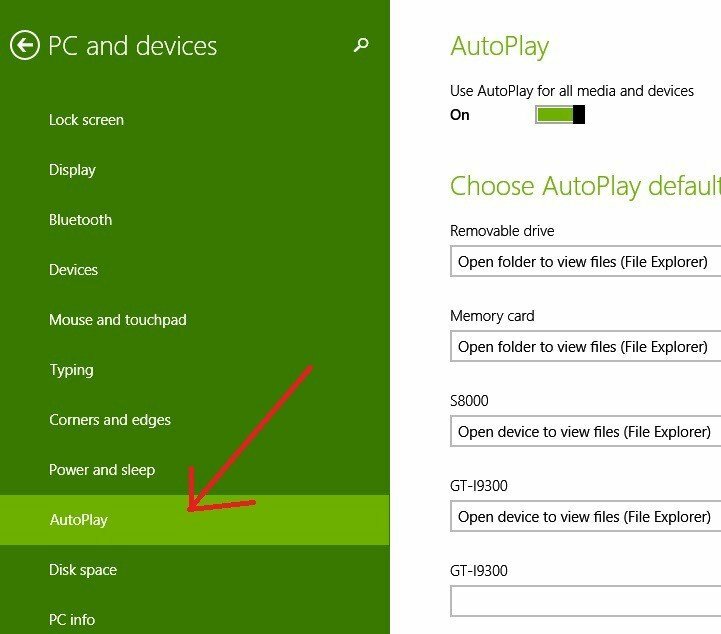 From the ‘PC and Devices’ menu, choose ‘AutoPlay‘. For Windows 10 users, the AutoPlay tab can be found if you scroll down a bit in the list, basically nothing has changed.